The race for the Republican nomination for U.S. Senate took a turn over the weekend. For weeks, the contest has been dominated by political newcomer Kevin Nicholson. The former Marine – and former Democrat – has been outpolling and outspending Leah Vukmir, a state senator from Wauwatosa. 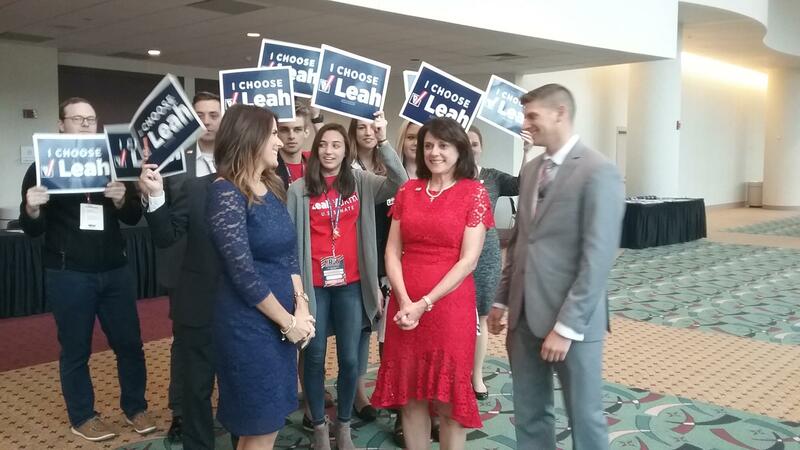 But on Saturday, Vukmir secured the endorsement of the Republican Party of Wisconsin at its annual convention in downtown Milwaukee. The two will face each other in a primary in August. The winner takes on Democratic incumbent Tammy Baldwin in November. The party endorsement is expected to give Vukmir’s campaign a significant boost. Both candidates spoke to the crowd prior to the vote. Vukmir touted her 14 years in the state Legislature, and said her record shows she’s the “proven, consistent conservative” in the race. She promised that if elected, she’ll carry out the Republican agenda in Washington. “I am ready to go to work on health care reform, I am ready to take on entitlement reform, I am ready to stand with President Donald Trump and build that wall,” Vukmir said. Vukmir insisted that she is best equipped to take on Democrat Tammy Baldwin in November. Then, Nicholson made his pitch for the endorsement. 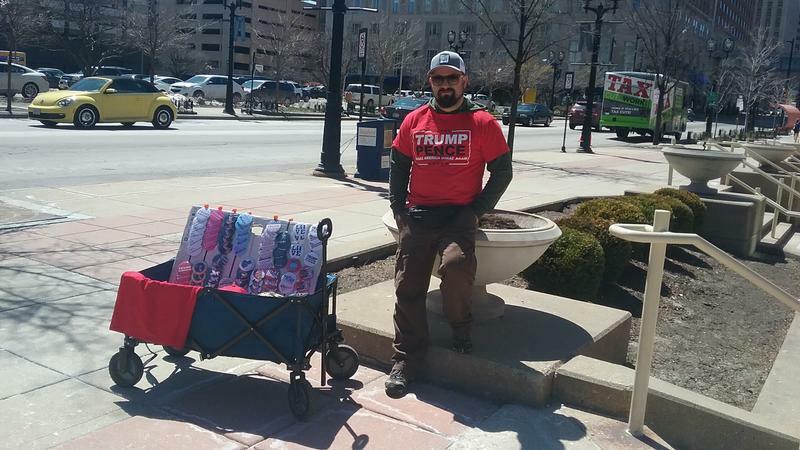 The Delafield businessman touted his outsider status and promised that he would bring a unique style to the seat. “It will take outsiders to push back on this political aristocracy in Washington and to stop it and change the ways, and the President has proven with a fresh perspective and a different set of real skills and the understanding of the density and the severity of our problems, you can actually do something about them,” Nicholson said. Nicholson has been criticized for his past association with the Democratic Party – he was president of the College Democrats of America in 2000. But, he assured the crowd that his experience as a Marine in Afghanistan instilled conservative ideas in him. 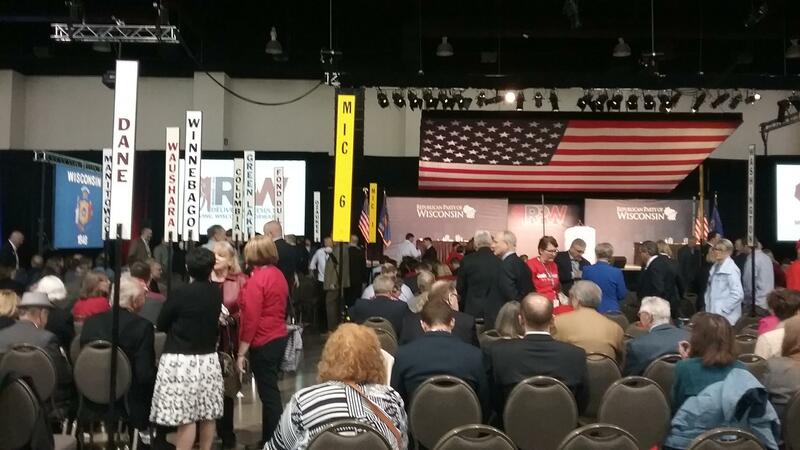 Yet, many delegates apparently weren’t impressed with Nicholson’s speech -- Vukmir ended up with 72 percent of the vote, surpassing the 60 percent needed to win the endorsement. Even so, Nicholson’s campaign consultant Brandon Moody says Nicholson is still very much in the fight for the GOP nomination. “We’re focused on August and November and we’ve been saying that for a long time. It doesn’t change the campaign, we are focused on winning a primary and that’s what we’re going to do,” Moody says. Some polls have shown Nicholson ahead of Vukmir by as much as 30 percent, and he’s raised millions from outside groups. Vukmir called the party’s endorsement historic and thinks it’ll provide momentum heading into August. “We’ll just continue doing what we are doing. We have a formula for success and it involves talking about our ideas and it involves talking about the proven reforms,” Vukmir said. The endorsement means Vukmir can tap into the state party’s resources, including donor lists and campaign staff. JR Ross of wispolitics.com says it remains to be seen whether those resources will amount to hefty donations for Vukmir. Groups supporting Nicholson have been peppering the airwaves with ads, while Vukmir is lagging behind. “Will they kick in more, will outside groups come to help her now and catch up to that paid media to where he’s at, because he’s been out front with that sort of stuff and it’s reflective in the polls that we’ve seen so far,” Ross says. Democrats will hold their state party convention in Oshkosh in three weeks. The focus there will be the crowded race for governor. More than a dozen candidates are running in the primary, for the chance to unseat Republican Gov. Scott Walker – and they’ll be working to win over delegates. With just over six months until the mid-term elections, Vice President Mike Pence fired up a crowd of Republican voters in downtown Milwaukee Wednesday. He focused on the GOP tax cuts in particular, in a speech at the Wisconsin Center. The vice president also hosted a fundraiser for Gov. Walker, who faces a potentially tough reelection bid this fall. 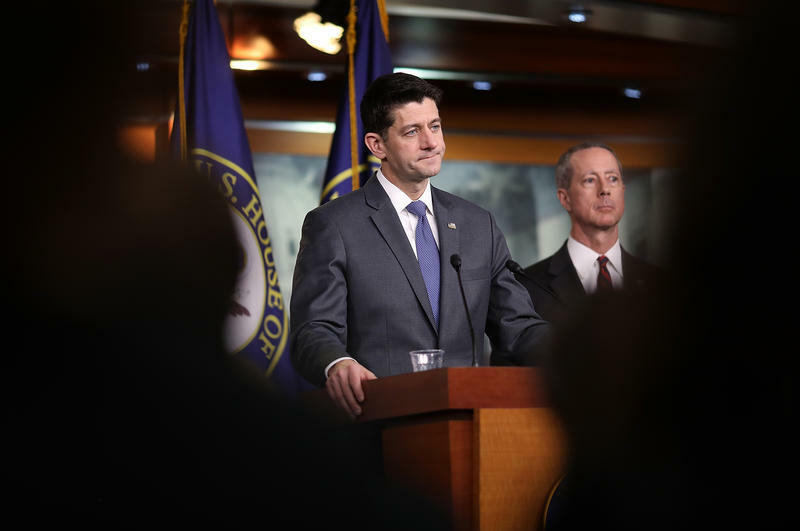 The latest in a seemingly endless series of political earthquakes shook the country Wednesday, when Speaker of the House Paul Ryan of Wisconsin announced he will not seek re-election. 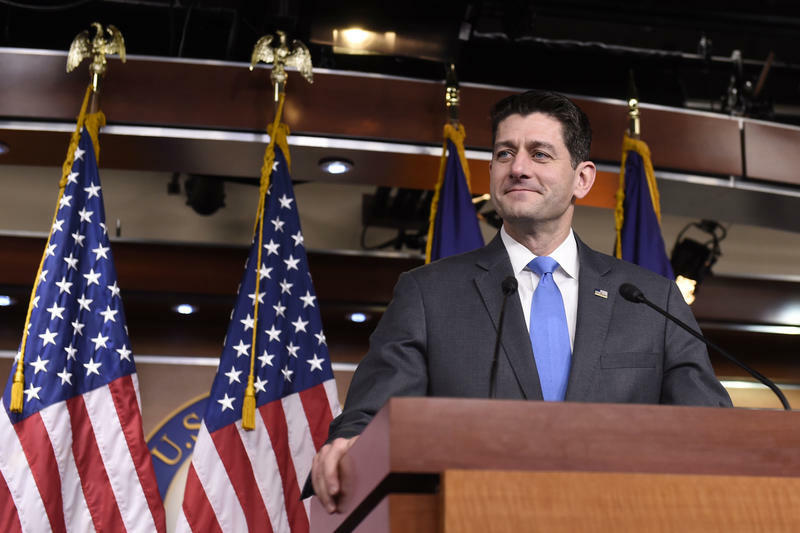 There had long been rumors that he would retire in the next year or so, but Ryan’s announcement stunned both Republicans and Democrats. The decision comes during a difficult period for Republican officeholders, as Democrats have won special elections and statewide races for seats that had previously been seen as safely in the hands of the GOP. 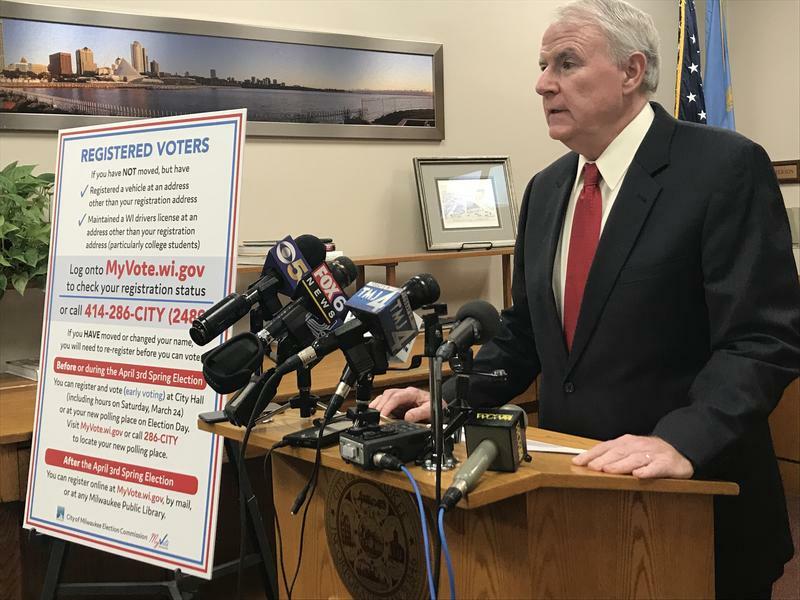 It's possible that thousands of Milwaukee residents will go to the polls this fall and find that they're no longer registered to vote. Two years ago, the state of Wisconsin joined ERIC, the Electronic Registration Information Center, which aims to maintain the accuracy of voter lists and encourage access to voter registration by comparing data.